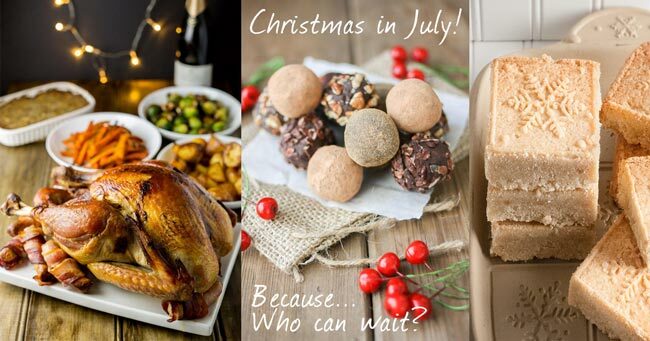 Christmas in July Recipes - Because why wait 12 months? Christmas comes but once a year. It’s a magical day…the excitement on your children’s faces, the shared joy, the celebration, the food. Ah yes, the food! Wouldn’t it be nice if we didn’t have to wait 12 months again to enjoy the amazing food? I’m not talking about every week…I know it would be unkind to our waistlines if we splurged on a regular basis like we do on Christmas, but surely we can allow for at least one more day of Christmas like binge eating. How else are we going to perfect all those holiday recipes so that we nail them when we host family and friends for the real deal? A day of practice only seems like good common sense. 😉 Ya know? Enter Christmas in July..the glorious food part at least. One of the great things about holidays are the traditions. Some are shared and some are unique to your family. Many of these traditions surround the food we love. 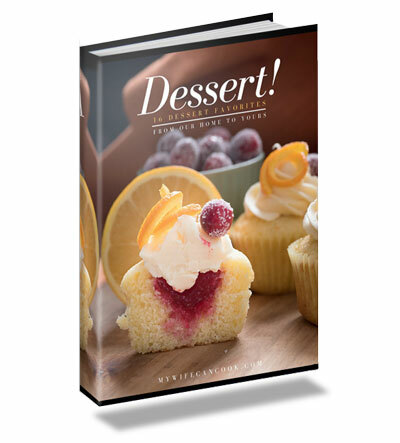 Every home has its favorite recipes that consistently make an appearance on certain holidays and at certain times of the year. And the great thing about traditions is you get to decide what traditions you want to adopt for your family. In our family, I’m declaring a new tradition: Christmas in July! A Christmas in July party — one day in July when we fix and enjoy some of our favorite Christmas recipes. Why? Why not! Because we can! Because we get to make our own traditions. Because 12 months is a long time. Because our kids will love it. Because why not have a practice day in the summer, enjoying and perfecting some of the recipes that will become part of our future Christmas tradition? 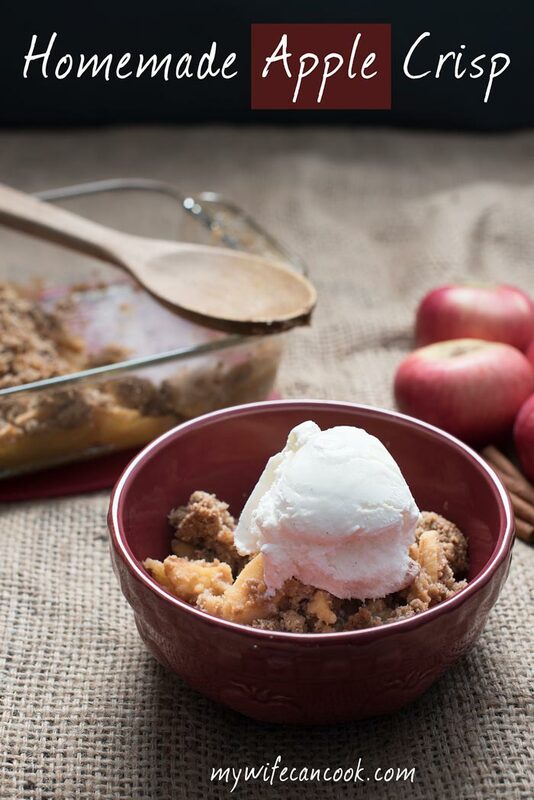 So in the spirit of this new tradition, here are some recipes that you might want to try out should you choose to adopt this Christmas in July tradition. The choice is yours of course, but you do realize this tradition means you get another day of enjoying your favorite foods, right? Try them out now and pick your favorites to make again in December. 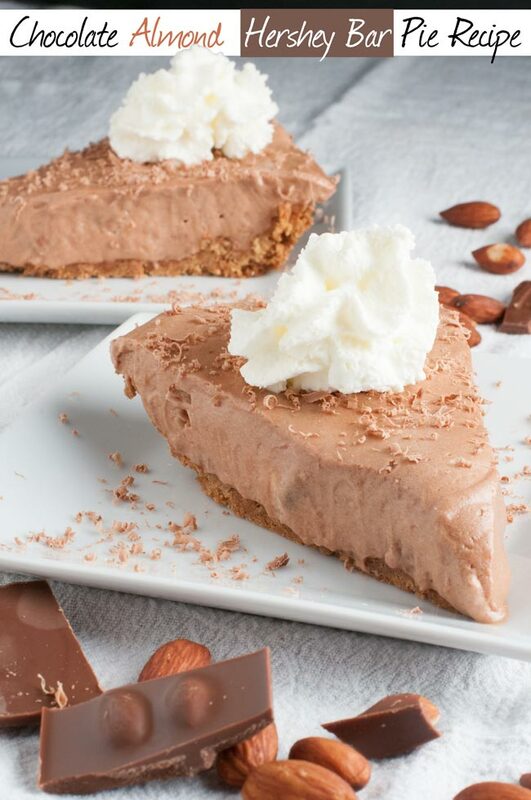 As is typical of the holidays, this is a dessert-heavy list, but there is plenty of versatility here and plenty of healthier options should you have dietary concerns. Try out a few of these Christmas in July recipes and feel free to work in some of your own traditional favorites! What’s Christmas without Gingerbread? 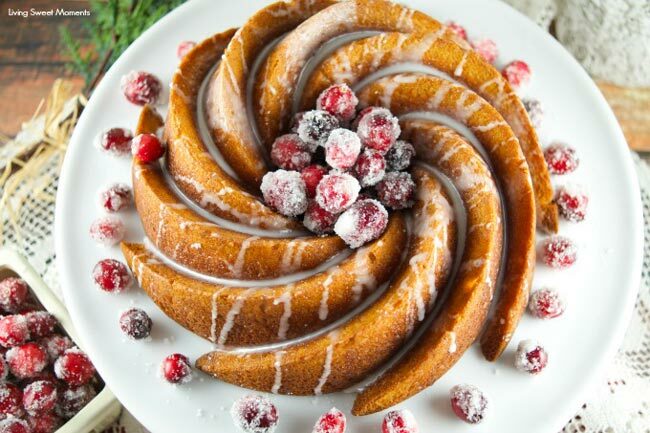 I love the way Living Sweet Moments recipe reinvents gingerbread with this picturesque Gingerbread Bundt Cake with Vanilla Glaze. It’s like a super naughty and super gooey cinnamon roll only with a holiday twist. Garnish with your favorite fruit and your holiday celebration is going to be off to a stupendous start. And yes, you’re celebrating so why not allow yourself to enjoy a decadent breakfast for once? You can go for a run tomorrow. 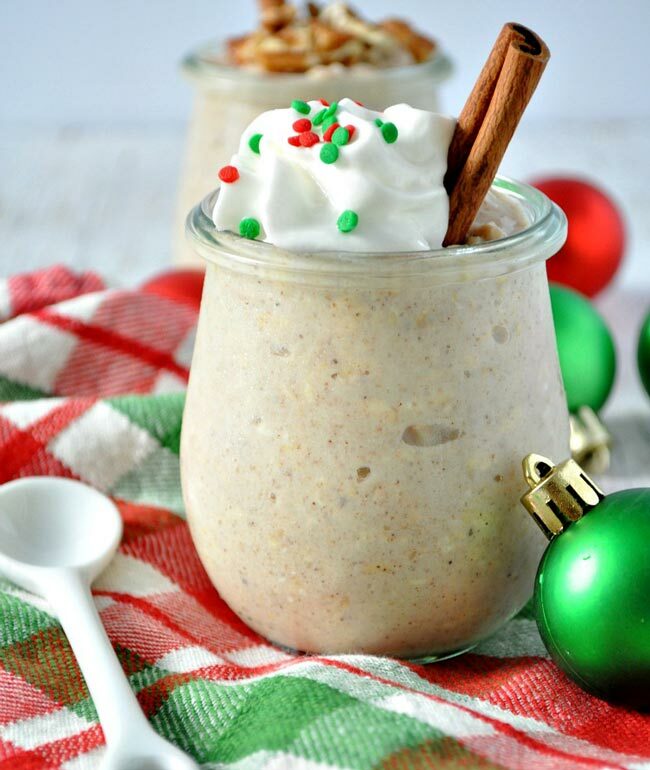 When you think eggnog you definitely think of the holidays and these High-Protein Eggnog Overnight Oats by The Seasoned Mom definitely represent a creative and spice-filled way to start your day. C’mon, you know you want to give this a try. 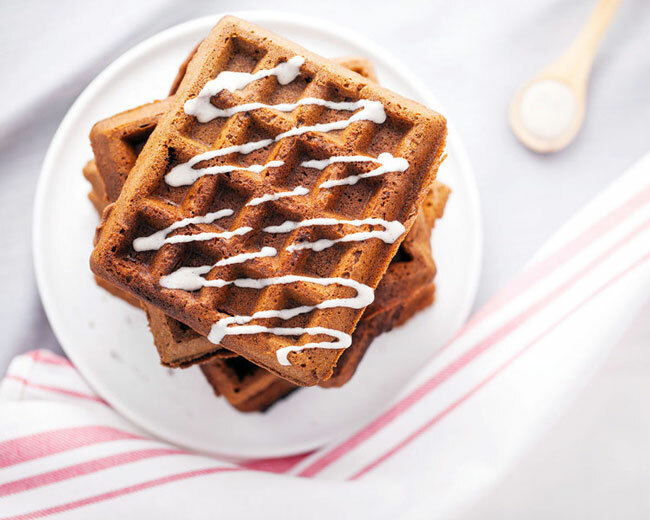 Besides, you’ll need a protein-packed breakfast to propel you through a busy holiday of baking and celebrating. What holiday feast is complete without a star main course? It’s tradition. And it’s hard to get more traditional than turkey. 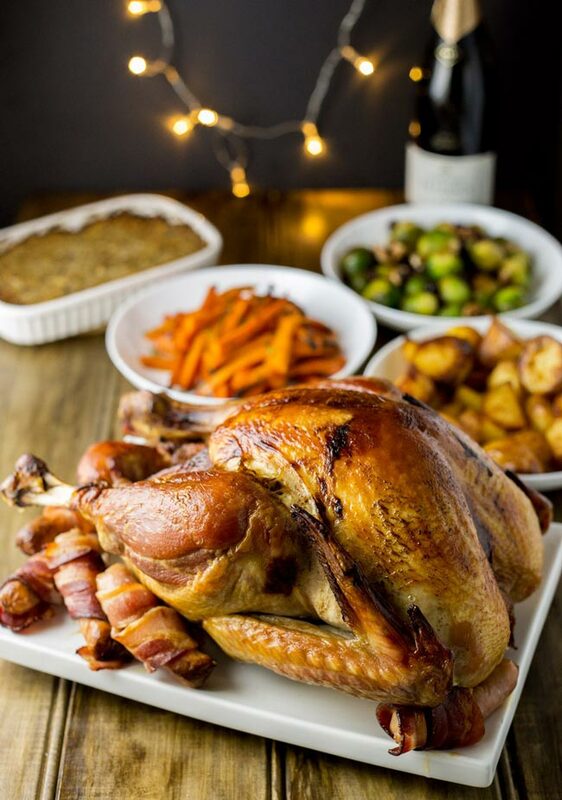 I love that this Slow Roasted Turkey from Sprinkles and Sprouts doesn’t require a lot of extra fuss. We want our turkey, but we don’t want to go insane trying to pull it off. Nothing fancy, just slow-roasted juicy perfection. We’re a big fan of brussel sprouts in our house (I know, crazy right?) and you don’t have to forego your vegetables just because it’s the holidays. In fact, you shouldn’t. 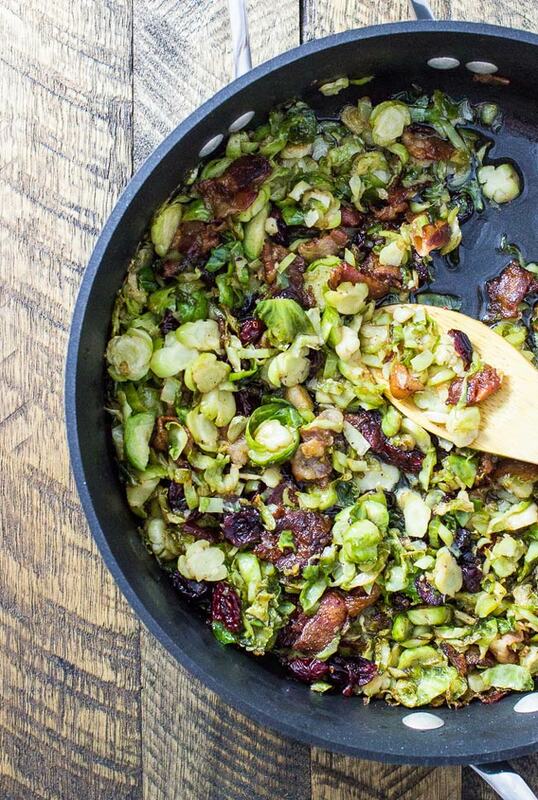 So why not try out these Holiday Brussel Sprouts with Bacon and Cranberries from Savory Tooth. You read the part about bacon, right? Yes, I thought that might grab you attention…a nice way to splurge for the holiday. Confession: I’m a sucker for cheesy potatoes. 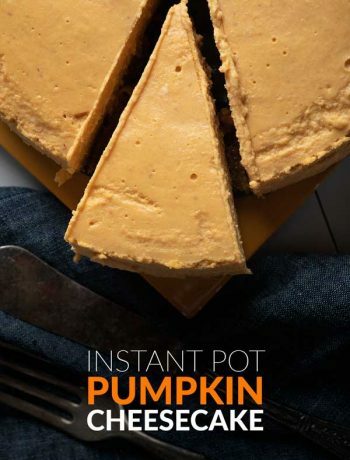 Not something for everyday eating, but perfect for holiday splurging. 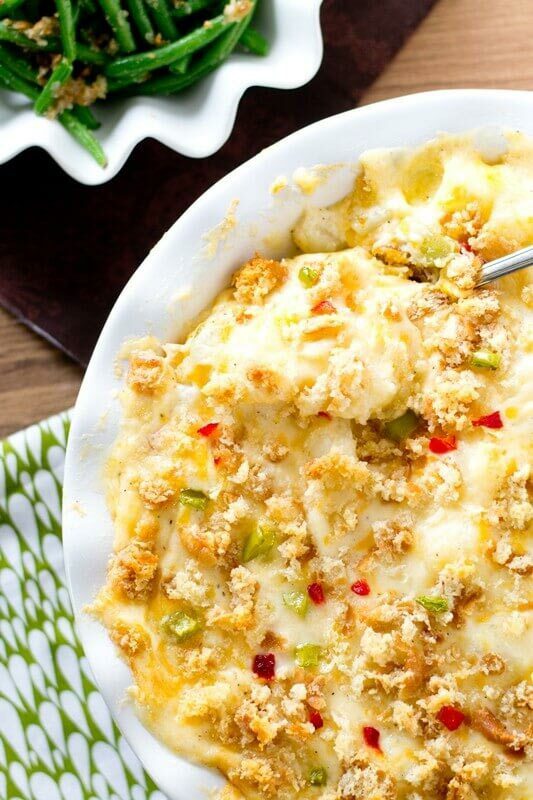 I love the addition of diced green peppers and pimentos to these cheesy potatoes from Taste of Lizzy. The addition is great for a festive look, but I also just love pimentos and peppers! Add a heaping spoonful of these to your plate. 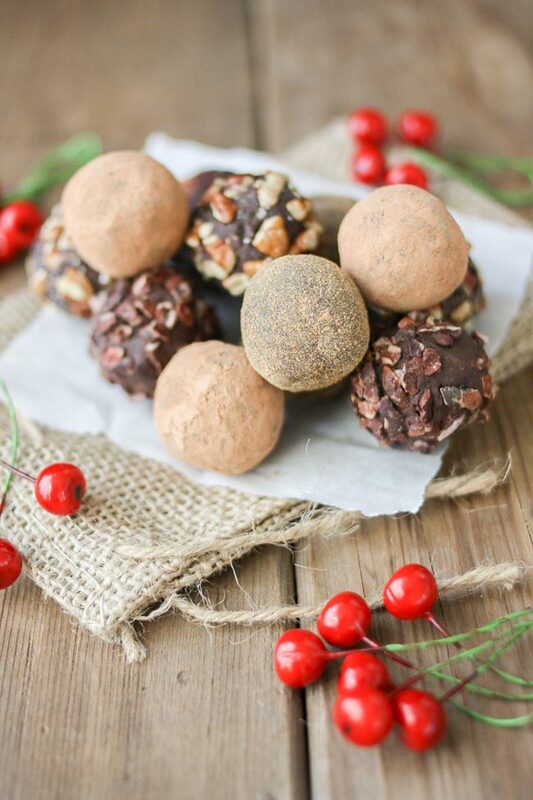 For those following a vegan diet, these Vegan Cranberry Crunch Dark Chocolate Truffles from Veggies Don’t Bite look absolutely amazing. I love the idea of combining cinnamon, dark chocolate, and cranberry, plus the use of cacao nibs to add a crunch. Okay, I like the idea of combing anything with dark chocolate! C’mon, it’s a dark chocolate truffle, do I really need to twist your arm to get you to try these? I think not. It’s hard to beat those recipes from Grandma. 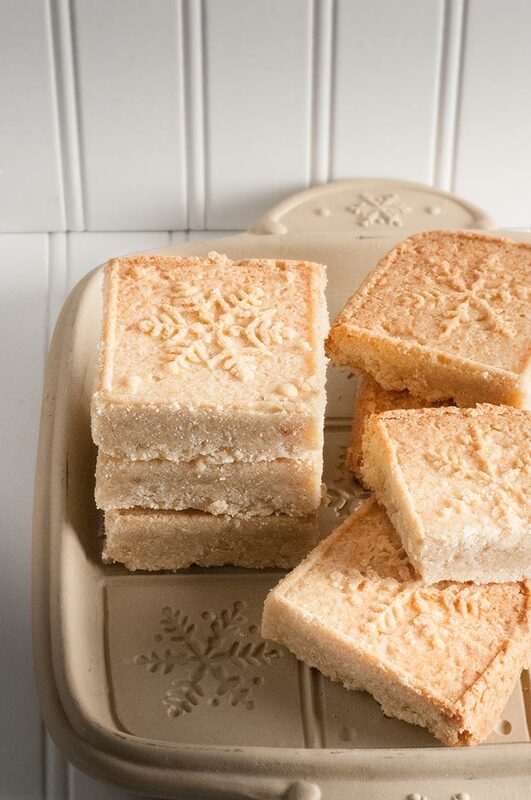 This Grandma’s Shortbread from right here at My Wife Can Cook is one of our favorite Christmas recipes. Super rich, super delicious and goes great when you’re huddled around the fire, sharing some holiday cheer, and sipping on your favorite cocktail or a nice hot cup of coffee. Perhaps you or one of your guests has special dietary restrictions, not to worry, you can still enjoy great holiday food! 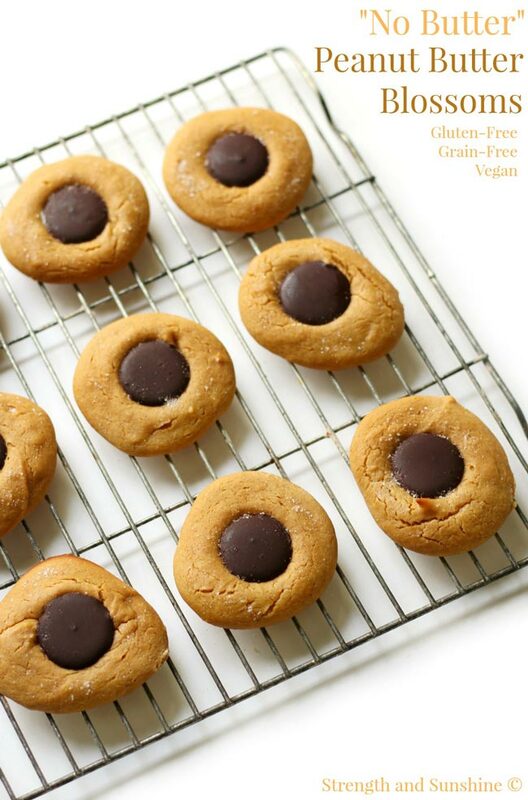 These No Butter Peanut Butter Blossoms from Strength and Sunshine are Gluten-free, Grain-free, and Vegan. And what a great to recreate a classic holiday cookie while still keeping an eye out for your health. It’s hard to make it through a Christmas celebration without seeing a lot of candy canes. In the stockings, on the tree, taped to the dozens of Christmas cards your children bring home from school. But it get’s a little repetitive does it not? Why not mix it up with a little mint chocolate? 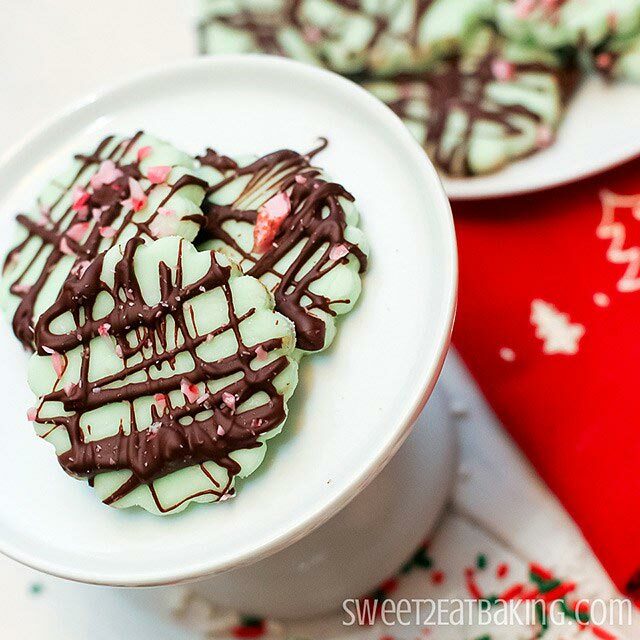 These Candy Cane Chocolate Peppermint Creams from Sweet 2 Baking are ready to step in and take your peppermint enjoyment to the next level. Sorry Candy Canes, but you are way overdone anyway. These are of course only a few of the gazillion recipes available as options for your next holiday celebration. How do you sort through them all? Well, a good place to start might be adopting a Christmas in July tradition and testing some of these out! Use the comments below tell us about some of your holiday favorites. This is such a fun round-up for this time of year! Thanks for including our Eggnog Oats! Thank you so much for including my truffles! I agree, ANYTHING with dark chocolate!! Sharing on my social media as well!